The World Health Organization (WHO) defines mental health as “a state of well-being in which every individual realizes his or her own potential, can cope with the normal stresses of life, can work productively and fruitfully, and is able to make a contribution to her or his community” (WHO, 2014). This definition of health as “a state of complete physical, mental and social well-being and not merely the absence of disease or infirmity” highlights the intersectional relationship between mental health and human rights (WHO, 2014). It stresses the need to further investigate the connection in the academic sphere, to actively promote national debate around the fact that a serious neglect of mental health is present despite the protective policies and legislative frameworks offered by our constitution and the Mental Health Care Act of 2002. 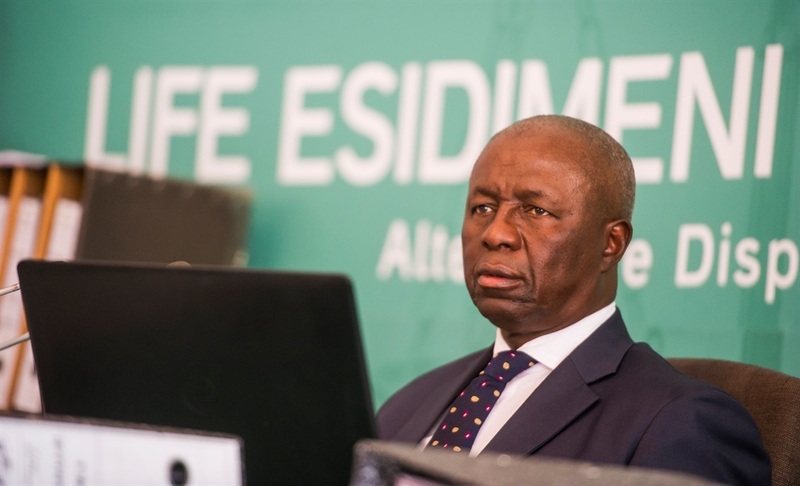 With at least 141 psychiatric patients dead after being moved from the Life Esidimeni (meaning place of dignity) facility to various NGOs in Gauteng, it is clear that as South Africans we are witnessing a humanitarian crisis brought on by serious human rights violations of vulnerable groups living with psychosocial disabilities. This human tragedy has been called ‘the greatest human rights violation committed by the state since the dawn of our democracy’. In order for the healing processes to take root, deepen and become transformative, our social relationships, systems and structures have to change” (Nebe, 2016: 3-4). Our psychosocial condition is one of dislocation, which regardless of race or class, comes out of a socially constructed reality, based on the betrayal of the human spirit…In order for us to bring about a genuine healing in South Africa, we have to re-think our professions in terms of mental healthcare (Vetten, 2005). Through these conversations “Drama for Life aims to bring down the imagined binary walls that exist between the personal and the political, the psychological and the sociological” (Nebe, 2016: 5). Join us on 3 May, 10 May and or 17 May; please find details below. It started with a tip-off on Facebook and became the biggest national scandal and act of human rights violations since the dawn of our democracy - this, in part, because of the efforts and perseverance of one courageous reporter who went to extraordinary lengths to uncover the horrific details of the treatment of psychiatric patients at Life Esidimeni. Suzanne Venter, senior investigative journalist at Rapport and winner of the prestigious Taco Kuiper prize for investigative journalism, published a series of investigative reports in the weekly Sunday newspaper that inevitably resulted in an official inquiry by the health ombudsman and pushed the plight of psychiatric patients onto the national agenda after being severely neglected by our South African government. This case also reaffirms the important role of the media as the custodian of our young and fragile democratic society. The South African Federation for Mental Health estimates that one third of South Africans suffer from mental illness, and that 75% of sufferers do not have appropriate access to treatment. “More than 17 million people in South Africa are dealing with depression, substance abuse, anxiety, bipolar disorder and schizophrenia – illnesses that round out the top five mental health diagnoses, according to the Mental Health Federation of South Africa. Despite the high number, the Department of Health annually spends only 4%...of its budget to address the crisis” (Tromp, Dolley, Laganparsad and Govender, 2014: 1). This conversation looks at the socio-political influences at the points of intersection between mental health and human rights, and the psychological impact of such human rights violations. It is almost impossible to believe that these serious human rights violations and acts of violence against marginalised and vulnerable groups are occurring in a country plagued by a history of human rights violations stemming from its colonial past. Ultimately we as citizens need to confront ourselves and reflect on our own relationship with human rights and mental health, so that we may critically question our role in ‘speaking truth to power’ in our struggle to break the cycle of violence and to prevent the ever-present past from traumatically repeating itself in this country. This conversation engages these artists, human rights activists and academics on their creative iterations and approaches to address these situations. Nebe, W. (2016). Redefinition, Resilience, Restoration: Drama Therapy for Healing and Social Transformation. The Routledge international y handbook of dramatherapy, pp. 348-359, New York: Routledge. Vetten, L. (2005). Show me the money: A review of budgets allocated towards the implementation of South Africa’s Domestic Violence Act. In Politikon: The South African Journal of Political Studies. Vol. 32, No. 2.